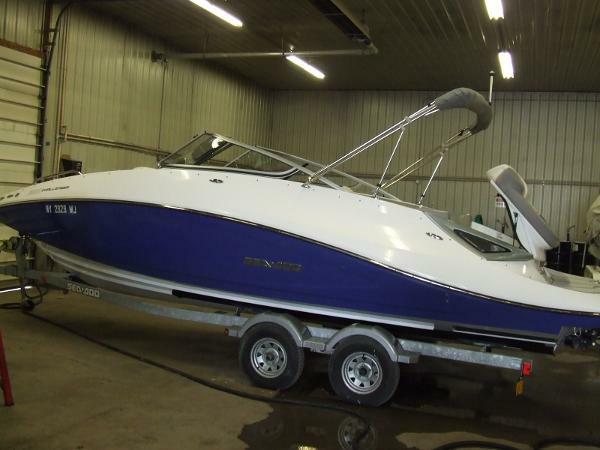 Per the Seller: This a very well maintained boat with very low hours. It has been washed and cleaned after every use. The owner also keeps the cover on it while not in use. All of the vinyl and the cover are in excellent condition. Stock #156694 This vessel was SOLD on November 21. If you are in the market for a jet boat, look no further than this 2011 Sea-Doo 210 Challenger, just reduced to $19,900 (offers encouraged). 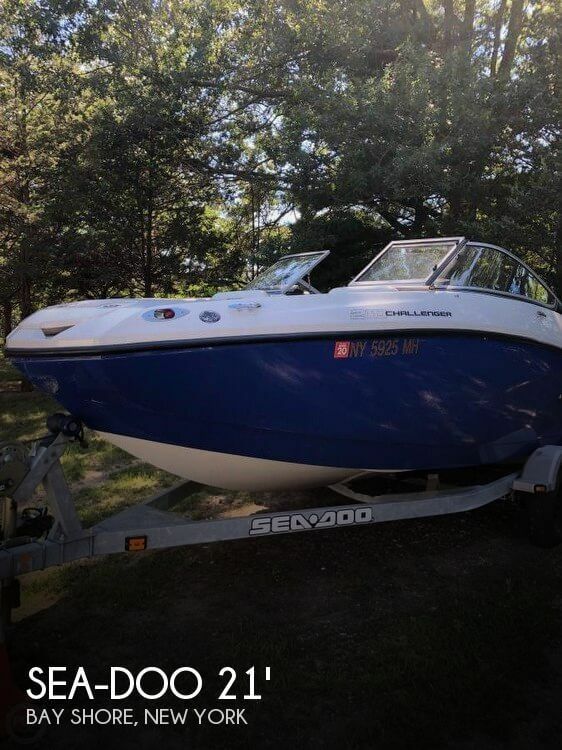 This boat is located in Bay Shore, New York and is in good condition. She is also equipped with twin Rotax engines that have only 91 hours. All the information was provided directly by the seller and I believe it to be true and accurate. The boat was never left in the water and always washed and stored after every use. To my knowledge everything is in working order. 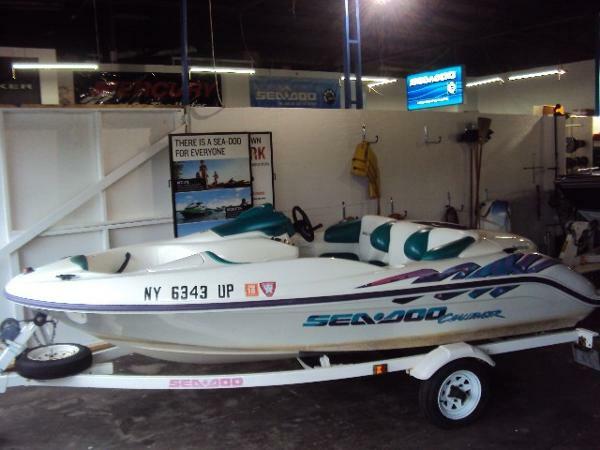 Stock #107884 Fast and fun with family or friends on any occasion If you are in the market for a jet boat, look no further than this 2009 Sea-Doo Challenger 230, just reduced to $34,000 (offers encouraged). 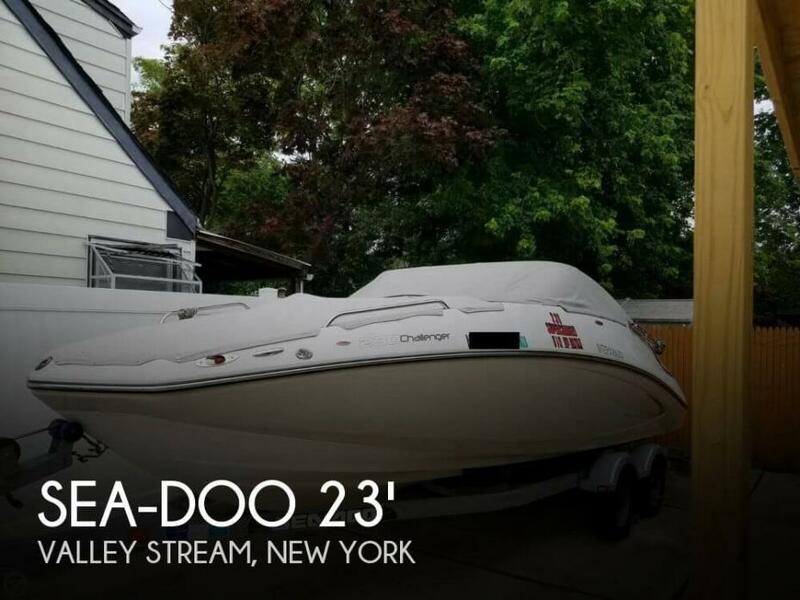 This boat is located in Valley Stream, New York and is in great condition. She is also equipped with twin Rotax engines that have only 198 hours. 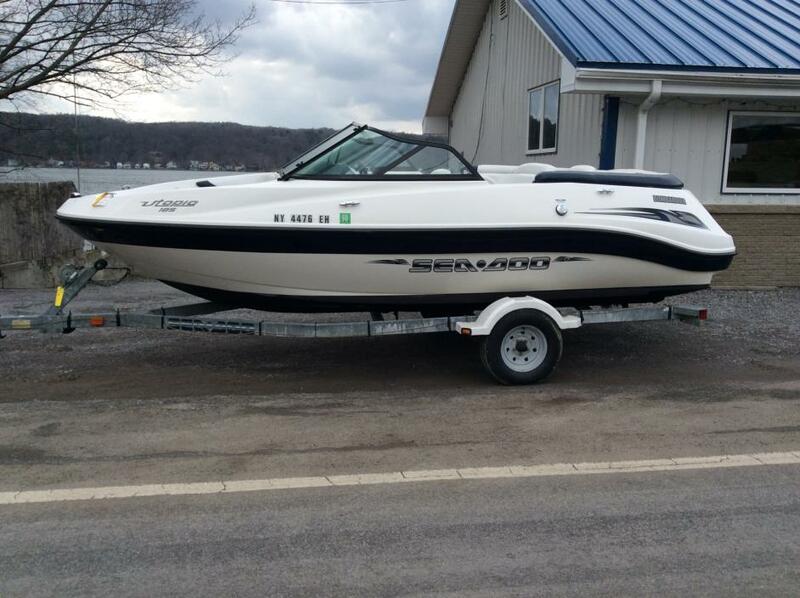 This is a great fast PWC that will make anybody appreciate the power and speed you can obtain on the water. There are a few light scratches on the bottom and one more serious scratch that is noted in the pictures. Everything is reported to be in proper working order on this PWC. 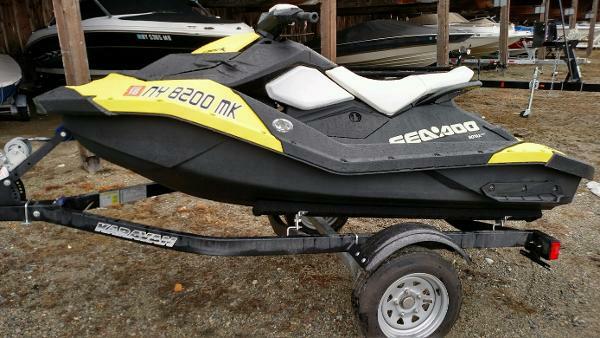 All in all this Sea-Doo is in great condition. Stock #091639 Here Is A RXT-X260 Still Under Warranty! How About A Little Fun And Excitement In Your Life!! 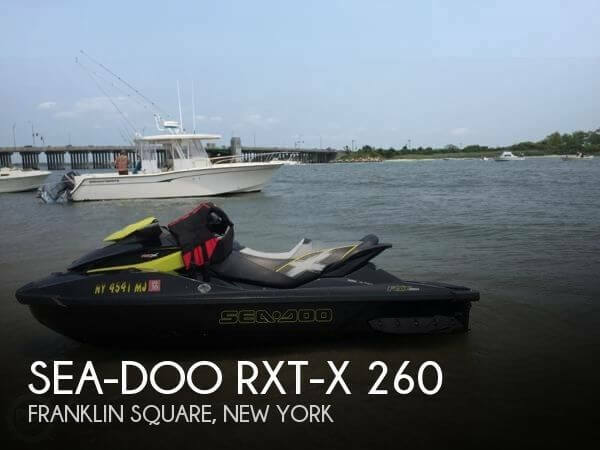 If you are in the market for a pwc, look no further than this 2013 Sea-Doo RXT-X 260, priced right at $12,500 (offers encouraged). This pwc is located in Franklin Square, New York and is in great condition. She is also equipped with a Rotax engine that has only 73 hours. 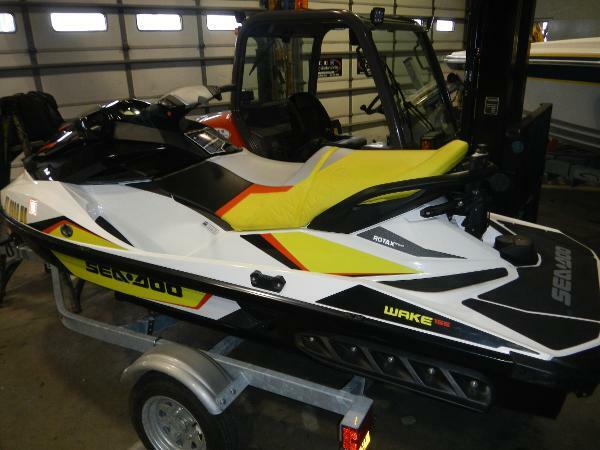 2015 Sea Doo GTR 215 Clean 2 Year old Sea Doo GTR 215 with only 112 hours on it for sale. This has the Supercharged motor with 215 horsepower and hits high sixties in speed. Also included is the cover! 1996 Sea-Doo Sport Boats CHALLENGER 15 1996 SEA DOO CHALLENGER 15' JET BOAT WITH 110 HP OIL INJECTED ROTAX MOTOR QUICK AND RESPONSIVE HANDLING. SUPER CLEAN, PERFECT FOR ALL WATER SPORTS. THE BOAT INCLUDES COVER AND TRAILER. MUST SEE TO APPRECIATE. 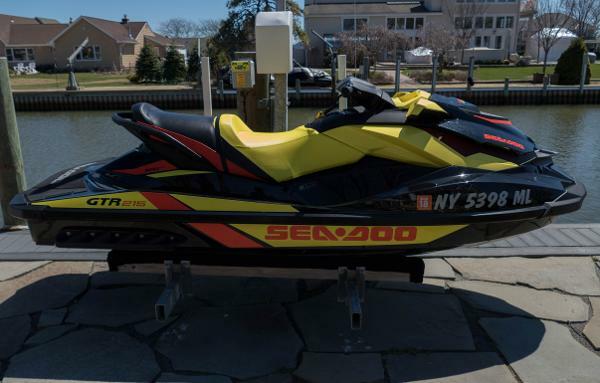 2015 Sea Doo BRP Spark 2015 Sea Doo/BRP Spark 2 UP in great condition. Includes Watercraft cover and Karavan trailer. 2012 Sea-Doo Sport Boats Challenger 230 2012 SEA DOO CHALLENGER 230 23' JET BOAT WITH TWIN 155 HP ROTAX FOUR STROKE ENGINES (310 TOTAL). SUPER CLEAN AND WELL TAKEN CARE OF HAS COVER, BIMINI TOP, AM FM MP3 RADIO, TABLE, ROOMY BOW AREA, LARGE SUNPAD. TRAILER INCLUDED.RARE FIND! 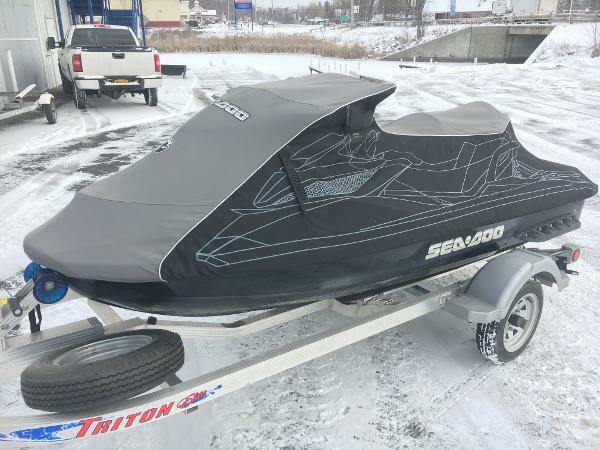 2015 Sea-Doo GTI-SE 130 SELLING 2 SEA-DOO GTI SE 130 THEY BOTH HAVE UNDER 50 HOURS DON'T HAVE EXACT HOURS BECAUSE THEY ARE STILL SHRIEKED WRAPPED FROM WINTER. BOTH HAVE MANY EXTRAS. THE GREEN SKI HAS A PHONE CHARGER INSTALLED, BOTH HAVE ALL THE SAFETY STUFF REQUIRED BY THE USCG, BOTH COME WITH COVERS, BOTH HAVE FENDERS FOR DOCKING, BOTH HAVE SPEED TIES FOR DOCKING, BOTH SKIS HAVE INTELLIGENT BRAKE AND REVERSE (iBR),VARIABLE TRIM SYSTEM (VTS), AND INTELLIGENT THROTTLE CONTROL (iTC),THE GREEN SKI HAS AN EYE HOOK FOR PULLING TUBES OR WAKE BOARDING, BOTH COME WITH WATERPROOF BAGS AND CASES, BOTH HAVE SANDBAG ANCHORS, BOTH HAVE REBOARDING LADDER, I HAVE AN EXTRA PAIR OF HANDLEBAR GRIPS, I HAVE A RACK THAT CAN CARRY A COOLER, ALSO COMES WITH A DOUBLE TRAILER ITS HAS A SPARE TIRE, MAINTENANCE IS UP TO DATE ON BOTH SKIS AND BOTH WERE PROFESSIONAL WINTERIZED BOTH WINTERS. I HAVE BOTH SETS OF KEYS FOR BOTH SKIS AND ALL THE PAPER WORK, BRAND NEW BATTERIES INSTALLED LAST SUMMER. THE PRICE INCLUDES BOTH SKIS, TRAILER, AND ALL EXTRAS!!!!!!! 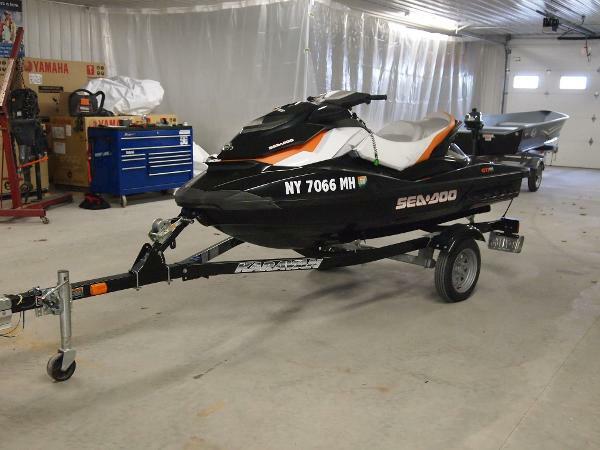 2009 Sea Doo 255 GTX Limited 2009 Bombardier Sea Doo GTX 255 Limited, Suspension Seat. Great condition. Call for more info. 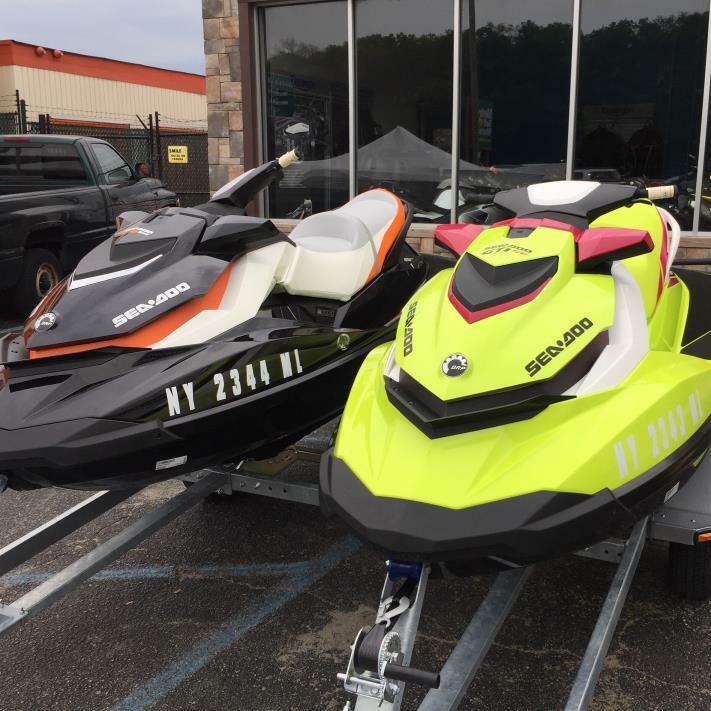 2012 Sea Doo GTI SE130 2012 Sea Doo Jet Ski model GTI SE130 with 30 hours run time and includes the Painted Karavan single jet ski trailer for only $5995.00. 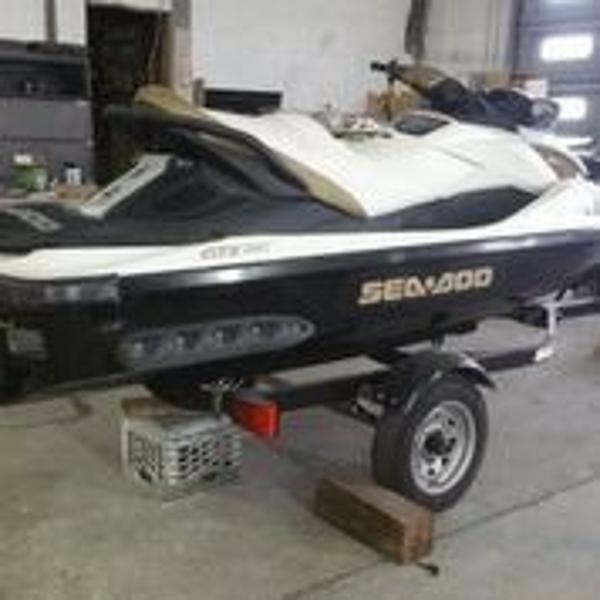 1999 Sea-Doo Sport Boats Speedster SK 1999 SEA-DOO SPEEDSTER SK 16' JET BOAT WITH TWIN OIL INJECTED ROTAX 85 HP ENGINES, THESE ARE NEW ENGINES. SUPER CLEAN INTERIOR AND EXTERIOR. RARE FIND. INCLUDES COVER AND TRAILER. 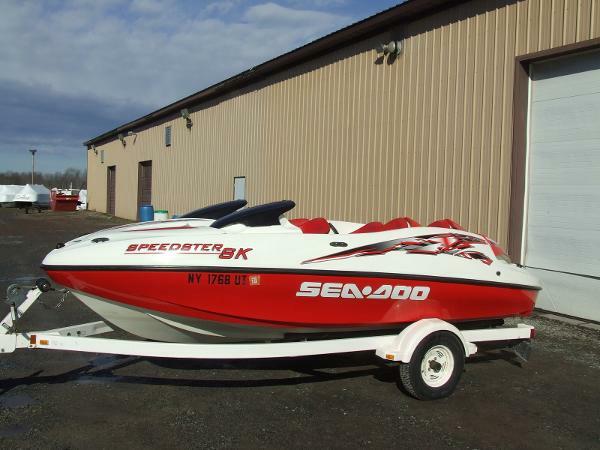 THIS JET BOAT IS A SUPER SHARP RED WITH WHITE, WITH GREAT HANDLING AND PERFORMANCE. 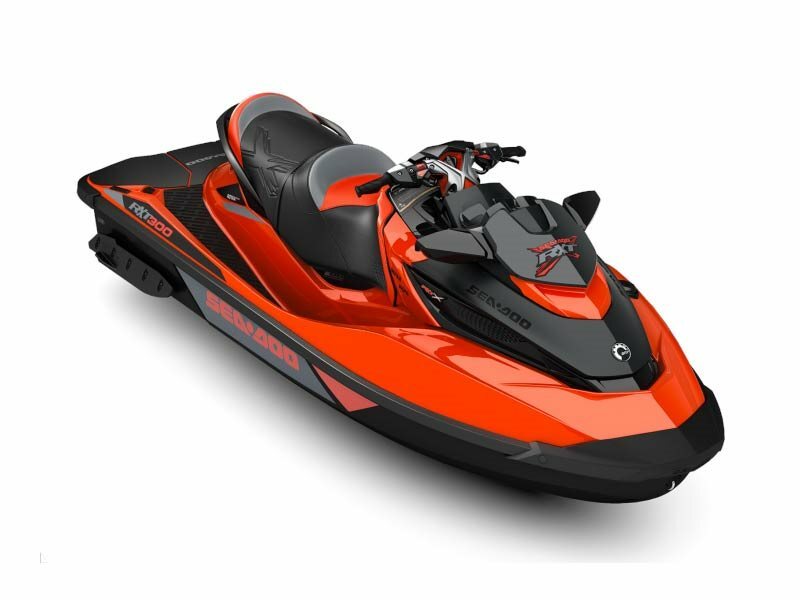 2017 Sea-Doo RXT-X 300 Built for large bodies of water, rougher conditions, with the 300 horsepower Rotax 630 ACE engine and Ergolock system. Your legs lock in to the machine for added control. Experience performance riding and go from 0-60 miles per hour (0-96.6 kilometers per hour) in 3.8 seconds. - NEW YEAR SPECIAL !! !